Educators and linguists looking to teach English in Asia should seriously consider South Korea as a port of call. 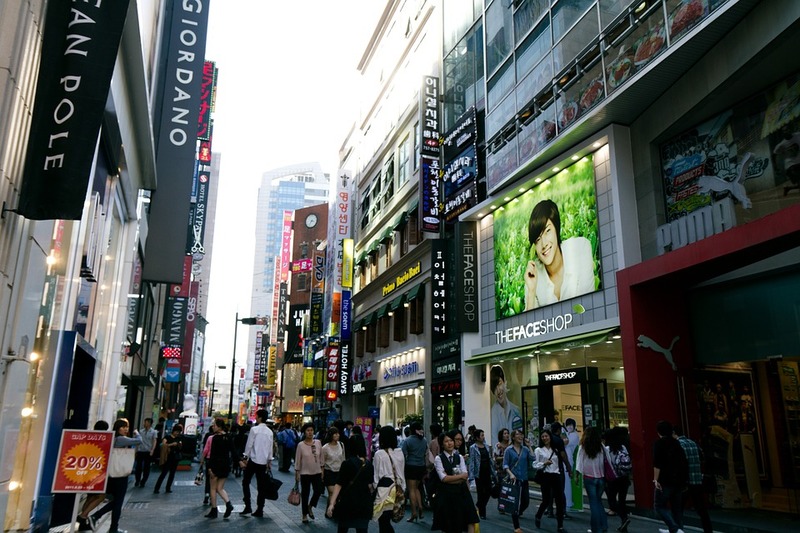 South Korea features a booming economy, amazing culture and fascinating history. Notably, English teachers have plenty of options between schools to teach at and the pay and benefits available to them. One of the most important decisions you will have to make when looking to teach English is the sort of institution you teach in, followed by what sort of position you wish to reach. Both sectors have their own benefits and drawbacks, each of which should be carefully evaluated. Public school follows a similar schedule as most Western nations-classes extend from the morning into the middle of the afternoon. Private English schools are referred to as “hagwons” and their classes extend from the afternoon into the evening. Most Korean students will double up on their education, receiving their primary instruction from the public sector, followed by further specialized instruction at a hagwon. Naturally, this intense crunch can be taxing to many Korean students, meaning that you will need to espouse empathy and uniqueness during your time spent teaching. What are the Tangible Merits of Teaching English to Koreans? Monthly salaries can range between 2 and 2.7 million won (nearly $1,800 to $2,425), based on the educator’s experience. The average work week is 35 hours. National labor laws dictate that half of your entire health insurance costs will be handled by the school you gain employment with. The other half is derived from your salary and comes to around 33.3 won each month (roughly $30). Paid time off. There are 20 vacation days in a year, as well as national holidays among the solar and lunar calendars. Many employment contracts include a completion bonus. Some institutions will also add a severance package upon concluding your contract as a teacher of the English language. The value of this severance is equal to one month’s salary and can be a great boon to affording the trip back home or for touring the country. What Sort of Requirements are Involved? Possess a completed college degree. Have a valid passport from a country whose primary language is English, such as the United States, the United Kingdom, New Zealand, etc. There are few Korean schools that eschew the need for TEFL certification. If you want to find success in this pursuit, you will need to appreciate frequently being in the presence of children. There are five major cities that commonly show up as sites to teach English within. Seoul is the national capitol and, at a population exceeding 23 million, is one of the busiest cities in the world. While Busan is considerably smaller than Seoul, its status as a coastal city along the southeastern wedge of the country offers visitors and residents many opportunities to experience new things. Daegu is the country’s third-largest city and is also one of the oldest cities in the nation. English teacher who also have an appreciation for Asian history frequently choose to teach within this area. Ulsan may only have a population slightly over one million people, but its status as a coastal city also gives the opportunity to enjoy sandy beaches. Jeju City is the capital of Jeju, an island province and resort area. Toilet paper is not relegated to just the washroom; you are just as likely to see it at your dining table or inside of the classroom. Dining is a communal experience and seen as a way of sharing each other’s mind and energy; nobody one eats from an individual bowl. Expect to be asked many personal questions. Koreans are curious people and their willingness to ask you personal questions, especially your age, is a complement. Whenever travelling it is always important to keep safe. Any destination has its dangers and Jakarta is no exception. Part of keeping safe is understanding which precautions to take when travelling. ON that note, here are a few things to know before heading to Jakarta. Jakarta is Indonesia’s capital and is home to 9 million people so it goes without saying that there is quite a bit of traffic. Always be careful when crossing the streets and make sure to look before crossing and keep in mind that drivers drive on the left side of the road. As with any third world country, you should not drink the tap water. Coffee or tea is okay or anytime water is boiled in cooking. 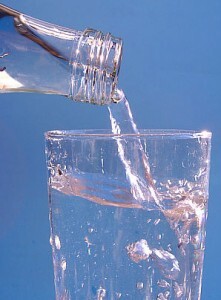 However, if you need to drink water, use bottled water. Most of the hotels provide complementary water bottles daily. On a similar note, be careful when eating street food. If you are not used this, make sure to travel with Pepto-Bismol or a ciprofloxacin prescription in case of upset stomach or food-related illness. I have also found probiotics to be helpful when eating foods in new countries. Be cautious of flooding during the rainy season from December to April. Because of the many rivers in the city, there can be flooding in some of the low-lying areas. 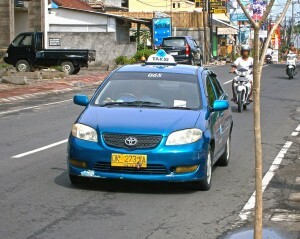 It is not uncommon to run into taxi scams in some parts of the world and Jakarta has been known to have some. To ensure you are taking a safe car, only use designated taxi services such as Blue Bird. It is a blue car with a blue logo and is safe to use. Be sure to see the logo before entering as some “fake” taxis are blue to try to scam tourists. Also, make sure that they turn the meter on so you do not get overcharged. Uber is also recently new in Jakarta and has proven to be safe so far. This last tip is not about safety as much as it is informative. There is a required tax to leave the country which costs IDR 100,000. Be sure to keep this in cash as you have to give it to the stewards and stewardesses when you board the flight to leave. In addition to these safety tips, you will also want to make sure you are staying in a safe clean hotel. The Big Hotel Jakarta is where to stay in Jakarta for a safe, comfortable place. While it is important to keep safety in mind, do not let it damper your adventurous spirit. Keep in mind, you can always come back to your safe hotel if you need a break.